Just 300 metres from RepÃºblica Subway Station, Hotel Internacional is located in downtown SÃ£o Paulo. 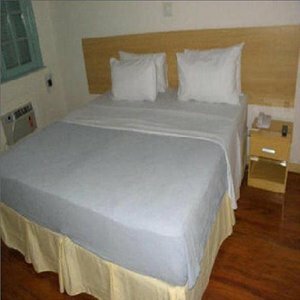 It offers air-conditioned rooms with free Wi-Fi. On-site parking is available. The practical rooms are simply furnished and supply a private bathroom. Their amenities include a TV, telephone, minibar and safe. Buffet breakfast is available daily, with fresh fruits and cake. For lunch and dinner, visitors have several options in the surrounding area. The popular commercial street 25 de MarÃ§o is 2 km from Hotel Internacional SÃ£o Paulo. Congonhas Airport is located 10 km away.